After sharing interviews with Vince Staples and Redman earlier this week, beloved Canadian music journalist Nardwuar the Human Serviette has moved from rap to rock in sharing a conversation with 4AD brother band the Lemon Twigs. 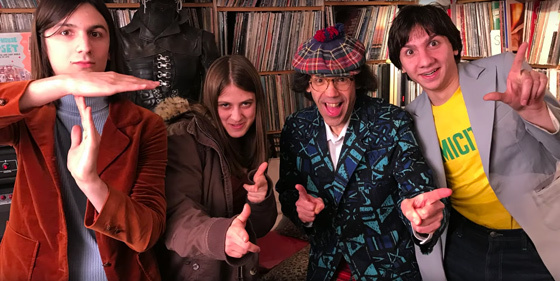 Nardwuar welcomes the Long Island outfit to Vancouver with a trip to Neptoon Records, where they discuss playing their music for Alex Turner and Tony Visconti, writing a lyrical reference to the tam-topped reporter into a song, the power of the gong and more. Of course, Nardwuar gifted the group some choice records from the Monkees and the Beach Boys, in addition to a Velvet Underground poster and a guide to all of the instruments the Beatles used. Watch the interview in the player below, and learn six must-know things about the Lemon Twigs here.